MELBOURNE — An Australian group that identifies itself as “Christalignment” is drawing concerns over practices that have been deemed New Age and occultic, including its use of “expert seers,” who provide “destiny readings,” dream interpretations and “energy impartation”—all in the name of God and evangelism. It outlines that its team members are trained in “destiny reading, Presence therapy, trauma recovery, entity cleansing, relationship alignment and physical healing using divine energy,” and also offer dream interpretations and “encounters coming from the third heaven realm.” Other services noted by the group include “prophetic” henna tattoos, deep rest therapy and color therapy, as well as meditation classes, which are held at various times throughout the year. 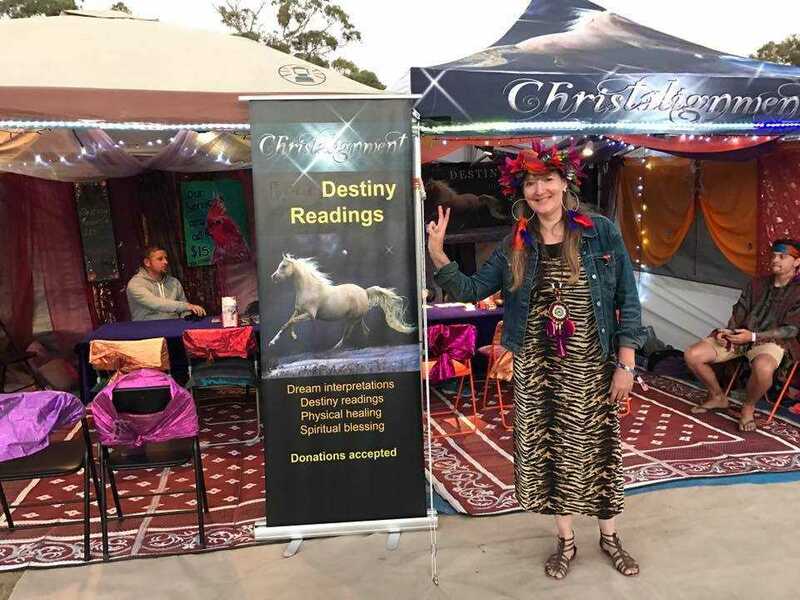 Christalignment has a booth four days a week at Dandenong Market, and also offers its services at events such as Sexpo, Rainbow Serpent, the Melbourne Queer Expo and Mind, Body, Spirit. Some of the cards read “gifts,” “acts of service,” “quality time,” “words of affirmation” and “physical touch,” and include photos of Christ or other drawings. On the back is a saying that addresses struggles or other issues the person has been going through. In addition to “destiny cards,” the group also uses Psalm cards, animal cards and color cards for its readings. Each card is stated to have a particular prophetic meaning for the person obtaining a reading. “Psalm readings are similar to tarot in that cards are counted out according to your birth date date & year. Only three cards are used and these will represent your past, present and future,” the site read—that is, until Christalignment altered the wording within the past month after the matter was reported by Christian blog sites, raising deep concern over what appeared to be a similarity to tarot cards. Christian News Network used the Wayback Machine to compare the two versions of the web page. Click here to see the original wording and click here to see the current wording. Facebook post noting “expert seers.” Click to enlarge. The group claims that it purposefully attends New Age festivals and other events where the lost are present to be an “undercover prophetic evangelism deliverance ministry” with the goal of seeing the unregenerate “saved, healed, and set free.” It denies that it is involved in New Age in any form, but asserts that it is rather seeking to work against the movement by bringing people to Jesus instead of psychics. “The team is trained not only to be able to release deep encounters with the Spirit of Truth to clients, but to also release words of knowledge and healing. For clients to see Jesus standing before them in an encounter is not uncommon, and many of them get born again,” the Hodges claimed in a recent letter to Bethel’s Kris Vallotton following controversy over the matter. While Bethel itself has also officially released a statement advising that it is not “formally affiliated” with Christalignment, and that the only connection is that some members are related to the Hodges, it went on to defend the group as engaging in biblical evangelism and doing its part to reach the lost in difficult places. “Reaching people where they are with the truth and love of God is our job as believers. Many people will not come to our churches, yet they are in great need of a personal encounter with Jesus. The Hodges feel called to share the Gospel with a people group that most of us would feel unsure of how to approach. We value their efforts to minister to unbelievers in the ways they can more easily receive it and in the places they are going, like New Age festivals,” it wrote. “This ministry is a way of getting people to stop and engage with fellow humans so that they might encounter the love of the Father and the truth of His Son, Jesus Christ. If one of our sons or daughters was away from the Lord and looking for truth at a festival, we would be praying for them to meet believers like the Hodges who know the love and truth of God,” Bethel continued. It urged those with concern to go directly to Christalignment themselves to work out any disagreement. However, not only have Christalignment’s practices raised concern among Christians who believe that the practices are indeed modeled after the New Age—no matter how much the group denies it—but so did Bethel’s statement in defense of the organization. “[W]hen Pulpit & Pen broke the story, Jen Hodge pulled two of her videos that were clearly letting others see they were practicing what is recognized as legitimate tarot card readings. 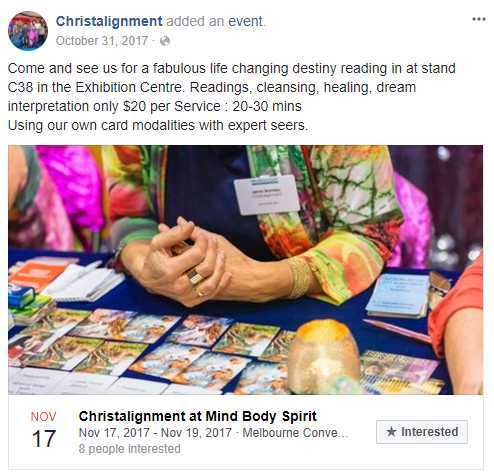 When people gave links to Kris Vallotton from the Christalignment website where it was explained how destiny cards are similar and used like tarot cards, Jen Hodge altered her website,” notes Church Watch Central.